Posted January 15th, 2018 by Kirti & filed under AdWords Tips, Karooya's AdWords Scripts. What does the Duplicate Keyword AdWords script? You will never know the real performance of a keyword. If the search queries are being matched with multiple close variant keywords, the actual performance is combined performance of all those keywords. Your metrics may show a wrong picture. For a month, if traffic from [pet food] moves to [pets food], you might get worried. You will try to find the answer with bids, ads and other changes that you may have done to the account. Such false alarms are undesirable. They can make you complacent and ignore the real ones as well. Your ad test may take longer time to arrive at significance. If the keywords [pet food] and [pet foods] are in separate ad groups and you are testing a new ad copy, you will arrive at a conclusion faster if only of the keyword was getting all the impressions. Having traffic spread across multiple keywords means sub-optimal ad copies will be shown for longer duration, thereby affecting the performance of the account. We bring you the true duplicate keyword detector. Most of the existing solutions identify presence of one keyword across multiple ad groups. This doesn’t solve the problem of close variants. 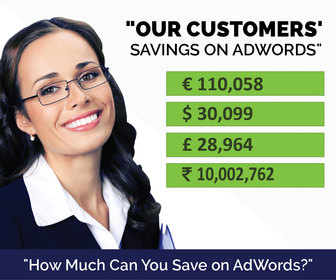 This AdWords script identifies the duplicates within same keyword match type. For instance, the keywords [pet food] in exact match and “pet food” in phrase match are not shown as duplicates. What has changed in the Duplicate Keywords AdWords Script? In the updated script, you can specify the language in which you wish to view the duplicate keywords. If your AdWords account is running in any language other than English, for e.g., French language, then with this recent change, you can identify duplicate keywords and close variants in French language across all the campaigns. To learn about how you can use the script click here. How To View Your Keyword’s Close Variants in AdWords? How To Find Duplicate Keywords In Adwords?